Many people put off doctor’s visits unless they are absolutely certain they need medical treatment. 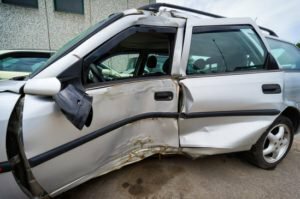 However, delaying a medical evaluation can be a costly mistake after a car accident because it will give the insurance company an excuse to dispute your claim. The shock of a serious collision can mask the symptoms of a major injury, which is why it is best to visit a doctor after any wreck. A fast diagnosis may be the difference between making a full recovery and living with a permanent disability. Sometimes it takes several hours or even days for the symptoms of an injury to show. This is particularly true regarding injuries to the head, neck, or back. If left unaddressed, though, your injuries could worsen, and the insurance company may argue that your own negligence contributed to the severity of the injuries and, therefore, you do not deserve a full payout. This is just one of many tactics that insurance companies use to cheat claimants out of fair compensation. Attorney Matt Troutman has seen firsthand just how dishonest insurance providers can be, and he will help you avoid mistakes during the claims process that would lead to a denial of your claim. 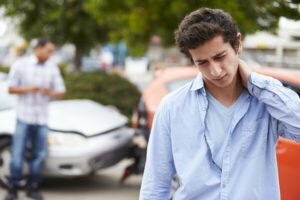 If you were injured by a negligent driver in Kentucky, contact the Troutman Law Office to discuss your case with a car accident attorney in Louisville. Call today to arrange a free initial consultation. Neck Discomfort: It is a common misconception that whiplash is a minor injury that will heal on its own. If left unaddressed, though, the symptoms of whiplash can worsen and cause intense pain. Neck discomfort is also a symptom of a spinal injury. Back Discomfort: It is common for people to develop recurring back pain with age, so many accident victims brush it off and expect it will heal on its own. However, back pain could indicate an injury to the vertebrae or nerves within the spinal cord. Abdominal Discomfort: Internal bleeding can be fatal, and stomach pain might be the only immediately detectable symptom. Headaches: Research cited by the Centers for Disease Control and Prevention shows that motor-vehicle collisions are the number-one cause of traumatic brain injuries. Although TBIs can cause a range of symptoms, headaches are among the most common signs of brain trauma. Changes in Sensory Functions: Sensory changes may indicate damage to the spinal cord or a traumatic brain injury. Tingling or Numbness: This is a common symptom of an injury to spinal cord nerves. If you were injured due to another driver’s negligence, you should not have to pay for medical bills, lost income, and other damages out of your own pocket. Attorney Matt Troutman will help you make a claim for the maximum compensation. Call to schedule a consultation with an injury lawyer in Louisville. Visit the USAttorneys website to learn more about car accident injury claims in Kentucky.